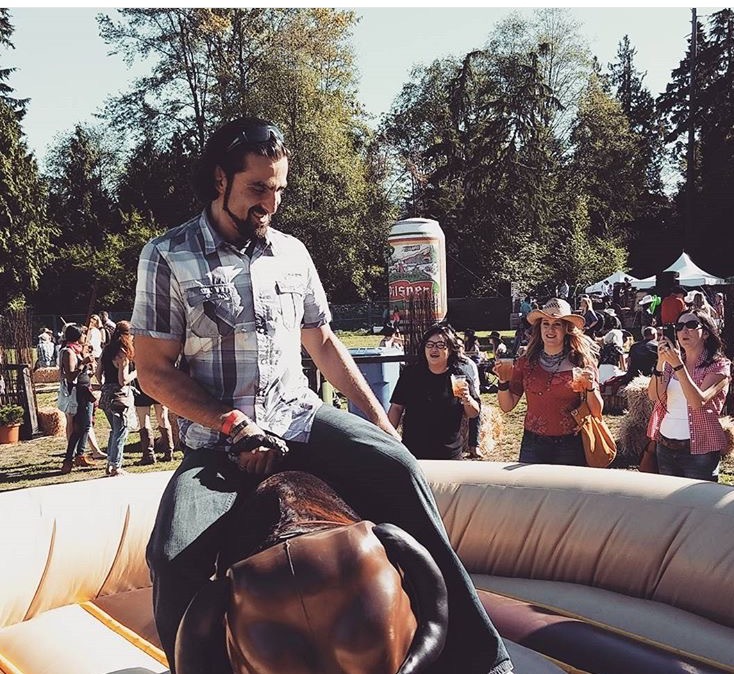 Yee Haw! 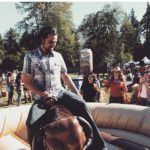 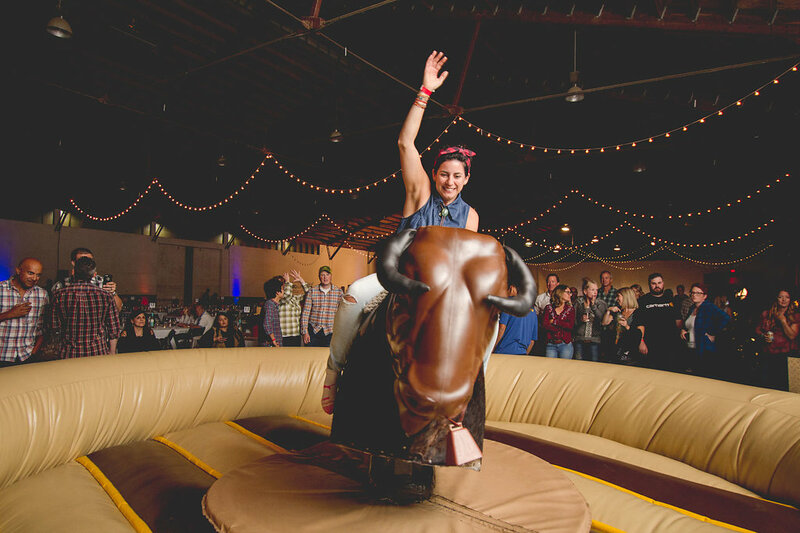 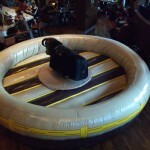 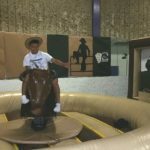 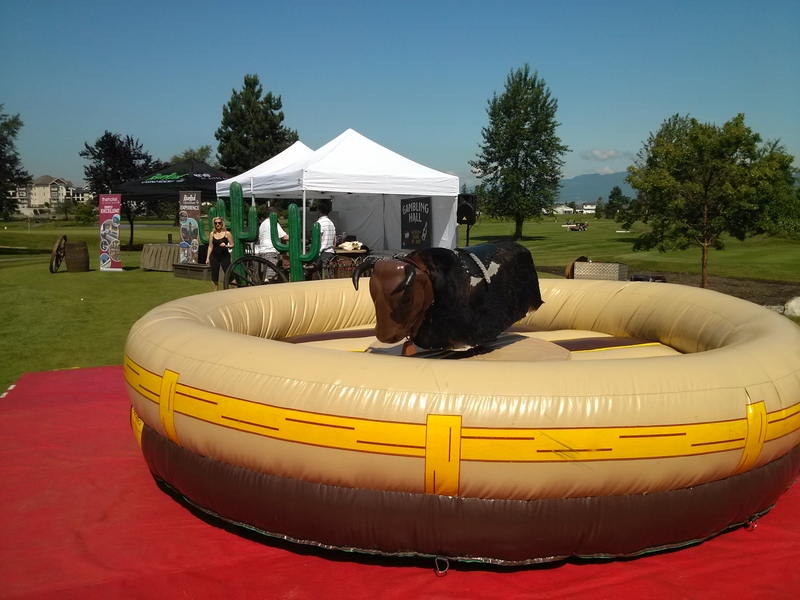 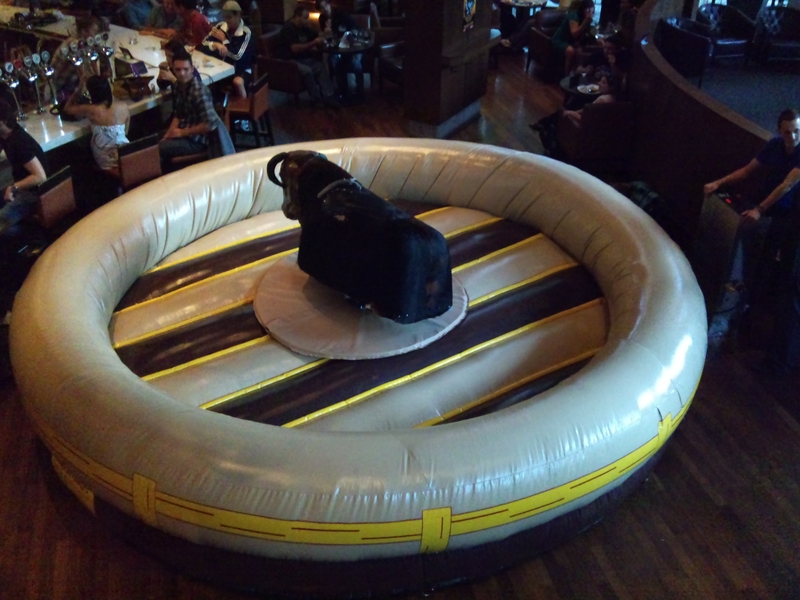 Have our Mechanical Bull ride at your next event. 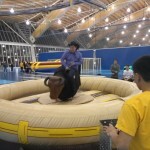 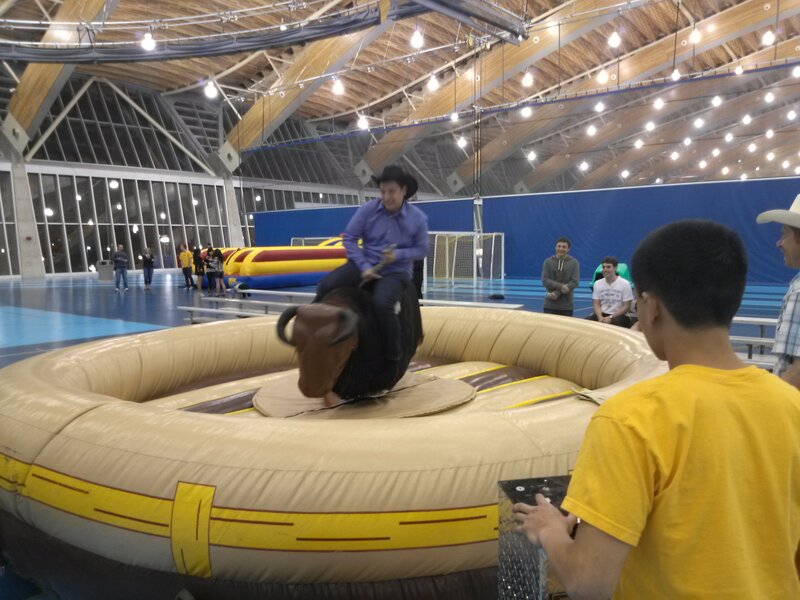 The best activity for western themed events and also a “must have” for dry grad and corporate functions! 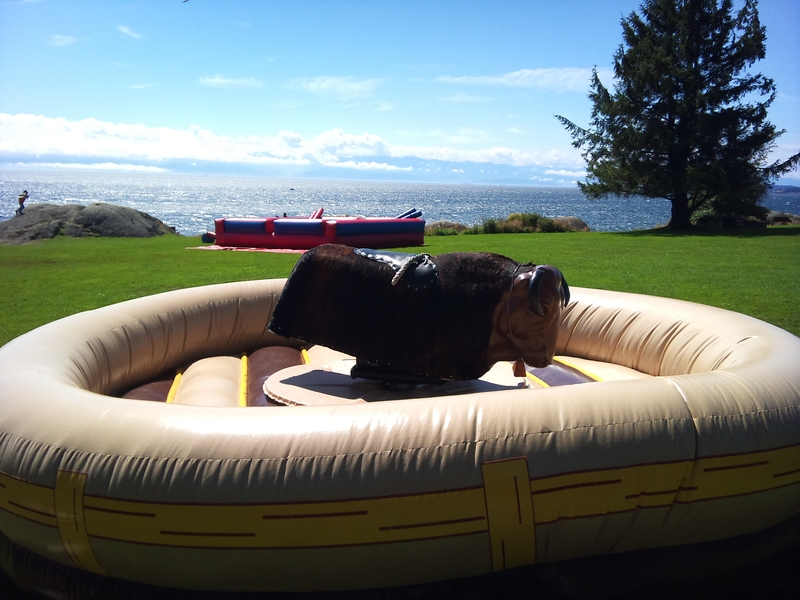 Our bull is fitted with a western themed safety surround arena and the latest “speed limiting” control box. 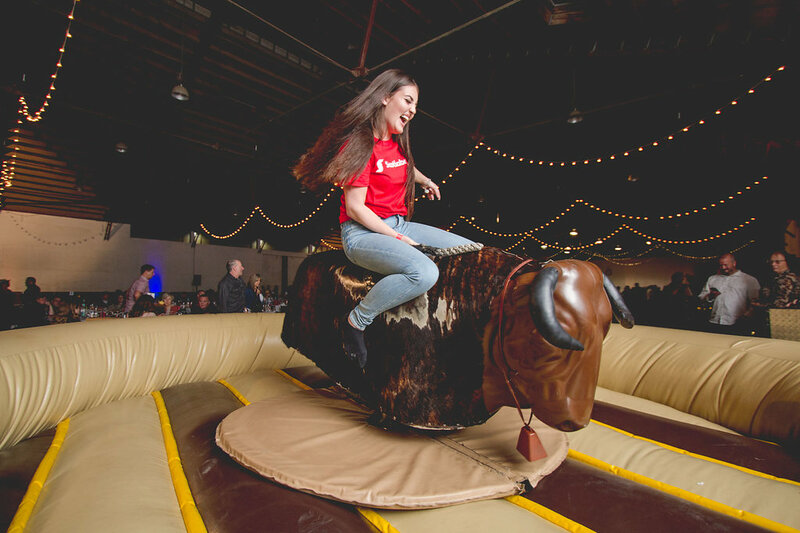 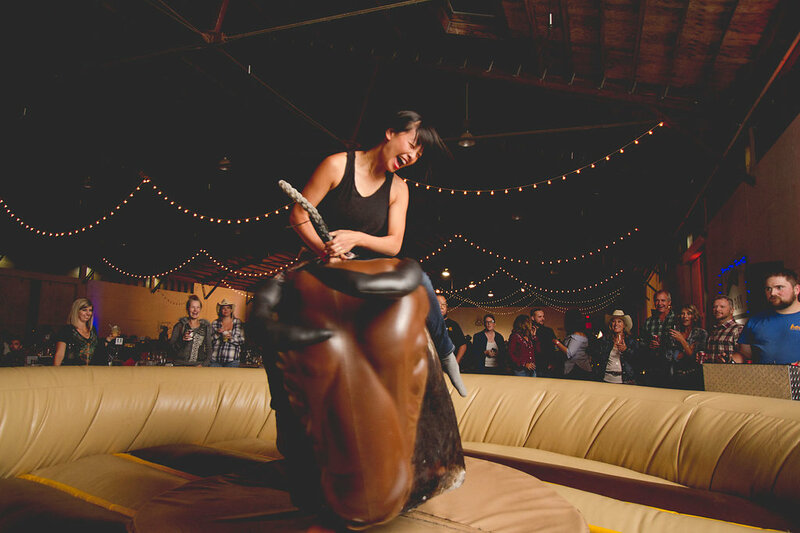 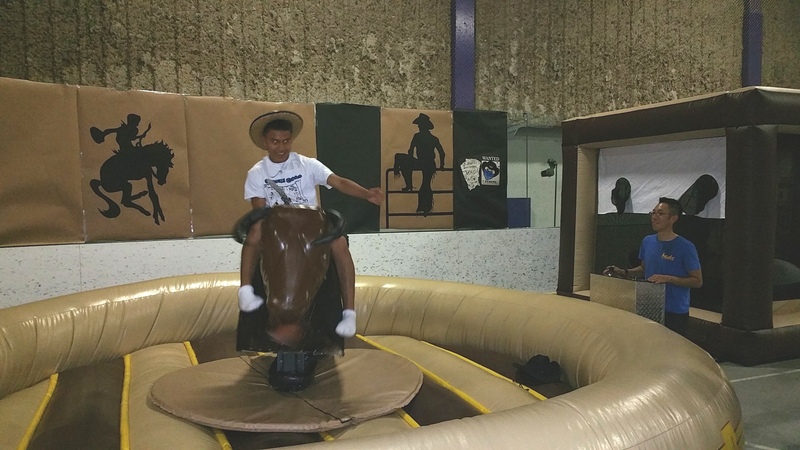 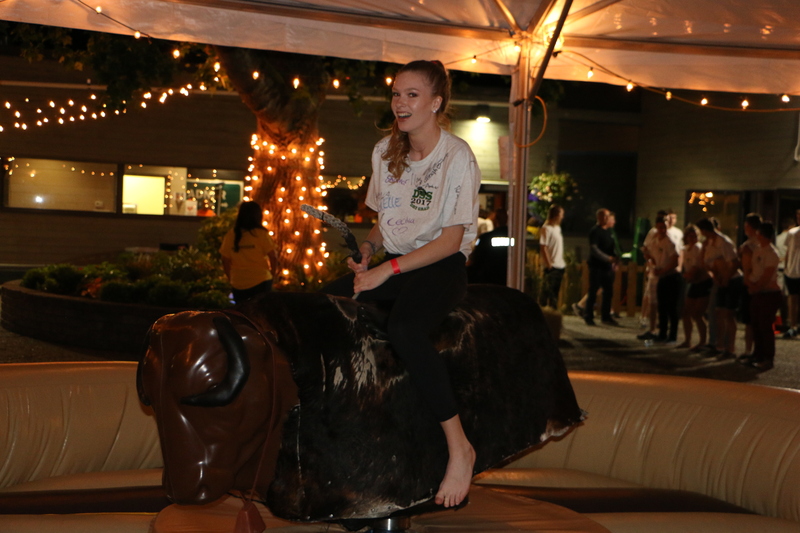 Our experienced bull operators will make sure that everyone from ages 5 to 70 can enjoy the mechanical bull ride.